Get Out There With Disc-O-Bed! Disclosure: I received the item above at no cost to facilitate this review. All opinions are my own. You can tell from the picture above just who loves the outdoors more. I've always had a love of nature and adventure. My husband, on the other hand, has learned to love it the longer he's been married to me. It's not so much that Ben doesn't like being outside, he loves that side of the deal, it's leaving all of the creature comforts of home that he's not so fond of. Lucky for him, I've been able to find ways to make roughing it a little more enjoyable. One product that has made camping feel a lot more like home is the Disc-O-Bed! Disclosure: I received the items featured to facilitate this post. All opinions are my own. We've covered Christmas for HIM and given you a huge list of ideas for a fantastic Christmas for HER. Now, it's time for Christmas for the KIDS! I've put together a fun, creative list of gift ideas that are sure to bring big smiles on Christmas morning! Christmas is almost here! If you're still searching for that special, unique gift for the woman in your life, not to worry. There's still time to shop and I've got the perfect list of ideas to make her holiday merry and bright! National Geographic sent me the items pictured in this post at no cost to facilitate this holiday promotion. Still shopping for Christmas? We have four kids in our house, not to mention a whole host of nieces and nephews that we like to give to around the holidays. It seems like there's always still more shopping to do and never enough gift ideas to go around. If you're still on the hunt for Christmas gifts I've got some great ideas for kids (and even a couple for adults) from National Geographic! It's wonderful to have products that not only bring holiday cheer but encourage learning and adventure at the same time. Everyone's counting down the days left till Christmas morning and the moment when we get to bestow gifts on the people we love the most. Sometimes the men in my life are not the easiest to shop for. I love finding presents that they will not only love, but will use on a frequent basis. I've put together a list of a few things that will be under the tree with my husband's name on them. Hopefully it helps check some of the men off your list too! Disclosure: I received the items above at no cost to facilitate this review. All opinions are my own. Truth be told, I hate the winter. It's probably because I truly hate being cold. It always seems to take forever for me to warm my bones up once the chill has gone straight through my body. The best way to prevent the cold from taking over is to make certain you have a quality barrier between you and the wind and rain (or snow, sleet...you get the picture). I discovered Mia Melon last Fall and it's been my go to jacket to take on the weather ever since. Mia Melon has two great pieces of outwear for HIM and for HER if you are looking to be weather proof this winter season. Disclosure: I received the items below in exchange for being part of this post. All opinions are my own. Second to getting to see new places and encountering unique experiences, one of the best parts of going on outdoor adventures is getting to use all of the gear! Over the past year I've gotten to try out some the best in outdoor and active gear. December is the best time to start that bucket list of all the adventures you want to take in the upcoming new year. And Christmas is the best time to give those outdoor lovers everything they need to take on all their upcoming, exciting adventures. I've got just the list to make shopping for your thrill seeker to easiest it's ever been! Disclosure: I received the items in this post at no cost to facilitate this post. Every woman, no matter what the age, loves feeling fabulous! Part of feeling great about yourself comes from looking your best. Christmas is the perfect time to spoil that special lady in your life with some stunning, quality apparel and jewelry! Laura Ashley USA is a great one-stop-shop to find everything you need to help her look and feel confident for the upcoming year! 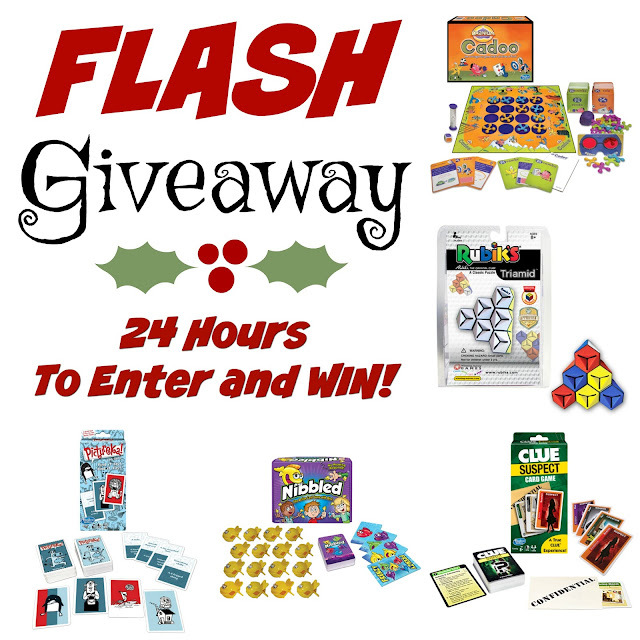 Wining Moves Board Games Flash Giveaway Winner Announced! What a turn out for my first FLASH GIVEAWAY! Thanks to everyone for entering! I had so much fun reading all of the favorite board games ya'll had growing up. There were some I had completely forgotten about that I remember loving to play myself! The lucky winner to receive all of the board games listed above is: Terry McElveen! Terry, please send me a private message on Facebook to claim your prize and don't forget to include shipping and a phone number so I can get this sent to you! Congratulations! Give Cozy To Everyone On Your Christmas List! Disclosure: I received the item pictured above to facilitate this post. There are two material things in this life that I absolutely love; coffee and blankets (anyone else share my sentiment?) They both instantly bring warmth and comfort. For someone who always seems to be perpetually cold, I'll never be far from a soft and snuggly throw. If you've followed Our Southern Style for any length of time, you've probably read about my love for Berkshire Blankets. I think everyone should have a Berkshire at some point in their life, and with Christmas comes the perfect opportunity to share something cozy with everyone on your list! Disclosure: I was sent the items pictured above at no cost to facilitate this Round-Up. We love playing board games together as a family! These moments are opportunities to turn off the many different screens in our house an instead fill that time together with some healthy competition and a lot of laughs. So often, especially around the holidays, we miss out on so many other wonderful games because we limit ourselves to what we see on commercials and in Black Friday ads. This Christmas our family is going to win big with a lot of new and exciting board games. I know I've found some that you've probably never heard of, and you aren't going to want to miss out on adding these to your holiday shopping list! The Holidays Are The Perfect Time To Give prAna! Disclosure: This post is sponsored by prAna. All opinions are my own. "Honey, I have no idea what to get your for Christmas". My sweet husband almost every year has this same lament but somehow he always seems to come up with the perfect gift. I've never really made finding the right gift easy for him. I absolutely love Christmas and without a doubt, I'm one of those people who truly feel it's more blessed to give than to receive. More than I love getting gifts, my favorite part of the holidays is giving special presents to some of those special people in my life and seeing the joy that it brings. If you are stumped like my husband was on what gifts to give that special person on your list, visit prAna where you can do some online shopping for both men and women. Find active wear, sweaters and every type of clothing they will need for travel, adventure, and more! Every Christmas I look for something fun that will not only attract the attention of my husband, but will also be something our whole family can enjoy together. Those two components are sometimes hard to come by, but when I heard from the folks at Super Happy Fun Fun (I mean, really, could the answer have been anymore clear?) who let me in on the secret that they are unveiling America's #1 arcade favorite, I knew I had found the right gift! They sent me a game system of my own, pictured above at no cost to facilitate this post, and not only am I here to share it with you, but I've got a special Black Friday Deal for all my readers, plus a chance for one lucky Our Southern Style reader to win one of their own! The holidays are fast approaching and in our house that means between Christmas cookies, homemade gifts, and then of course, those delicious Thanksgiving, Christmas, and New Year's meals, Mom rarely leaves the kitchen. I love cooking and baking (it truly is one of my favorite things to do) but when I'm preparing for those big dinners, I hate having the extra burden of our every day meals to worry about as well. Thankfully, Crock-Pot stepped in with their new Express Crock Multi-Cooker (sent to me at no cost to facilitate this review) that not only helps to make my holiday meals a little more stress-free, but I've replaced three small appliances with this one single tool! This is a sponsored post on behalf of Word Vision. All opinions are my own. This time of year, it's easy to get lost in the holiday machine. Pouring over recipes, cooking and baking for days, parties, gifts, decorations; sometimes it's easy to get lost in what the holidays are supposed to be all about. World Vision is giving an opportunity for families and individuals to do something this Christmas that will continue to mean something long after that last package is opened and the ornaments are packed up. 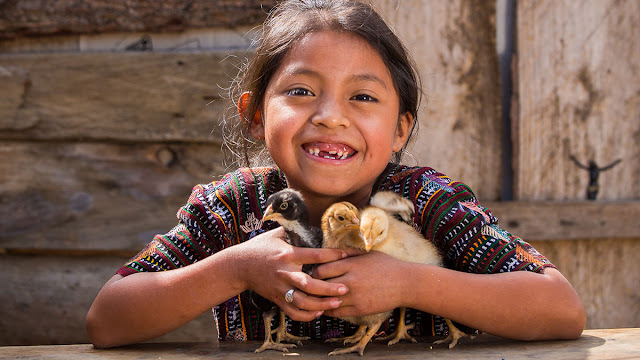 World Vision invites you to be part of changing the life of someone half-way around the world, in a tangible and life-saving way! Being in the outdoors is one the things I love most. With all of the busyness of life; raising kids, keeping house, homeschooling and everything else grabbing for my attention, there's something about sunshine through the pine trees, and the sounds of creation that makes time stand still. For a moment I get to breathe in the stillness. Being in the outdoors for me is freedom, even if it's only for an afternoon. Laying in a hammock is one of the best ways to enjoy the great outdoors and I've got Go Outfitter's newest Go Camping Hammock 2.0, given to me at no cost to facilitate this review, to share with you today! Remember when we were in our teens and it seemed like we'd live on this earth forever? The years eked slowly by and the Summers were endless. As I've grown older, along with learning that life is indeed very short, I've also come to realize the importance of seizing the moment. I love to push myself. I love the feeling of facing something that seems absolutely crazy to accomplish and then completing the task, if for nothing else than just to say, "I did it!". Anyone else out there like me? This Fall I challenged myself (and dragged my husband and some friends along with me) to bike 60 miles of the C&0 Canal. Thanks to some amazing companies that helped along the way, and provided me products at no cost to facilitate this post, I finished the adventure; but not without a few bumps along the way! Most people who know me know that I love cooking as much as I can from scratch. Sometimes though, like today, I had to give myself a little pass. It has been a horribly busy week with no relief in sight. Cooking is usually my way to de-stress and wind down but the thought of cooking this week just made me feel more exhausted. On nights like these, I can still offer my family some delicious comfort food, but in a way that makes my evenings a little bit easier. Growing up my Mom had four kids to feed on a single-parent's budget. She was never able to serve us the choice cuts of beef (in fact, I really can't ever remember a night where we actually ate "real steak") but every once in a while, she would treat us to a cube steak dinner and it was one of my favorites. Tonight I decided to treat my family to their own cube steak dinner with a recipe I cooked up that included some great ways to cheat and still get that home-cooked flavor! All of the kids in our house recently started the "Book It!" program and it's now off to the races to see who can read the most chapter books and earn themselves some Pizza Hut! 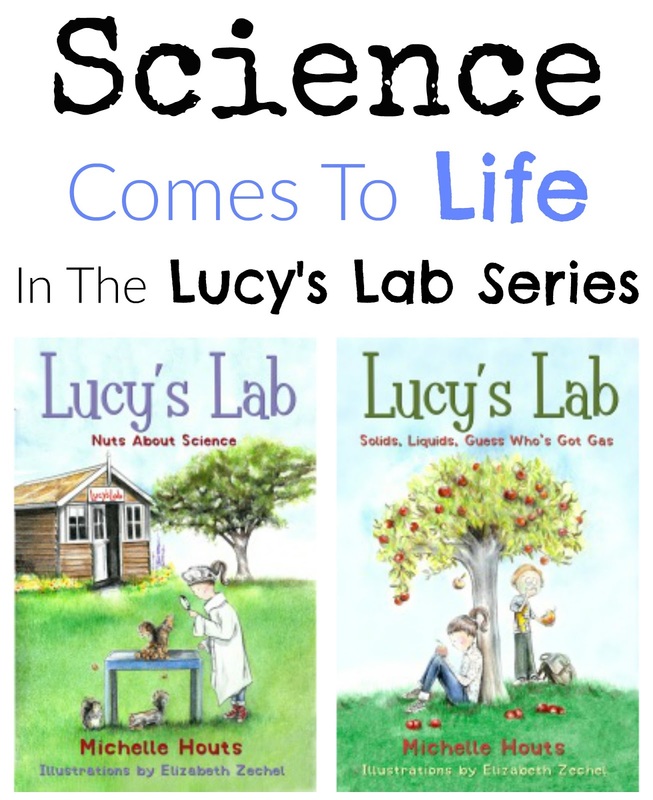 My Science-loving daughter, Eva never has to be encouraged to do extra reading and when I heard about the new Lucy's Lab series from Skyhorse Publishing (who sent me the books pictured above at no cost to facilitate this review), I knew there would be no doubt she would enjoy these books. If you have a Science-loving kid of your own, you won't want to miss these delightful and humorous new books that open up a window into the fascinating world of Science! Our weather has started to change here in West Virginia from hot, sticky temperatures to cool breezy nights. It's always sometime during the month of October that I drag out all those plastic totes, one after another, from the basement and complete that seasonal task of changing over all our Spring and Summer clothes to Fall and Winter. This year, along with changing out my daughter Eva's clothes, I decided it was time for her bed to have a little seasonal makeover of it's own! 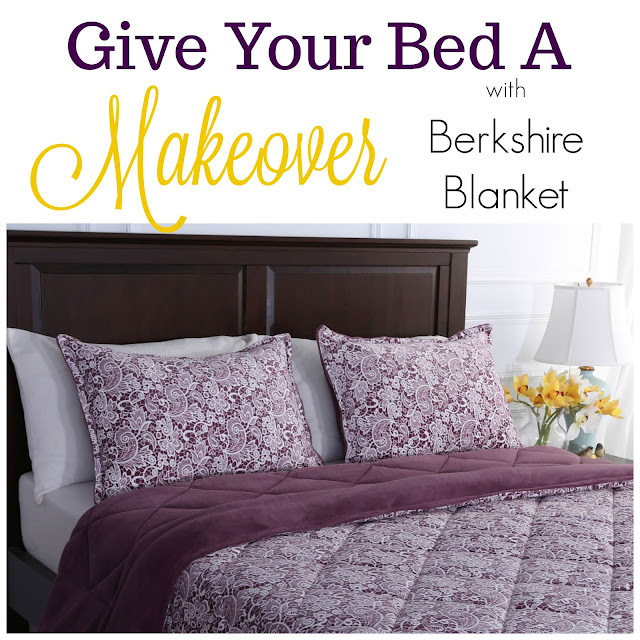 For all my blanket and bedding needs, there's no other company that I turn to other than Berkshire Blanket. They were excited for the opportunity to share a twin set of the bedding pictured above, at no cost to facilitate this review, and I'm excited that I get to share how you can give your own bed a makeover with Berkshire Blanket! My Canning Romance...And How Easy It Is To Get Started! As a little girl I remember watching my aunts can. They would sit around snapping beans, peeling fruit, and talking about life together as they worked. I've always admired them. I respected the way they cared for their families and always got the sense that, to them, canning wasn't a chore, it was truly a labor of love. Preserving food was a way to save some extra money and to forego runs to the grocery stores in the cold winter months. Why eat produce from a store when their families could enjoy fresh summer peaches all year long! I recently made the transition from full-time out of the house working Mom, to full-time in the house working Mom (and homeschool teacher to my youngest three). 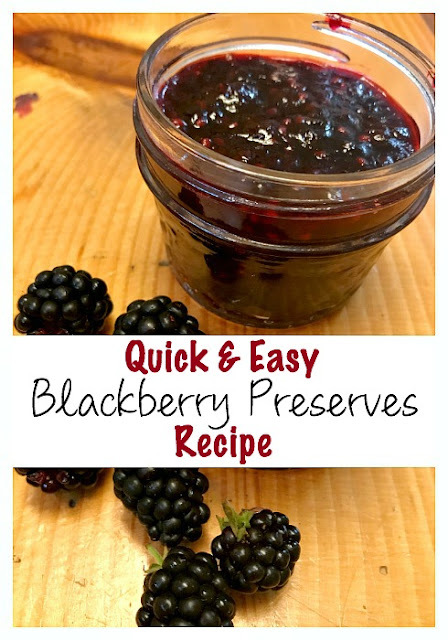 I decided this was the perfect time to let go of my fears (I always had it in my head that canning was a difficult process) and to embrace a way of food preservation that dates all the way back to the 1800's. It was time to learn canning; and it turned out to be so much easier than I expected! Fresh Preserving sent me the canning products pictured above, at no cost to facilitate this review, and not only am I going to share with you how you can begin canning fresh food in your own home, but I'm teaming up with The Fresh Preserving Store and Thrifty Nifty Mommy to giveaway a Fresh Preserving Kit as well! I love getting my hands on fresh ingredients! When I am able to buy from our local farmer's market - that's even better! The kids and I now make a trip to our local farmer's market a weekly part of our regular grocery shopping. With all of the summer tomatoes and peppers I decided it was time for my daughter, Eva, and I to set apart an afternoon for some salsa making. Disclosure: I received the item pictured above at no cost to facilitate this review. When I was waiting to welcome my first little one to the family, the number one need item on my needs list was a travel system. Not only did I want an infant carseat, but I wanted a product that allowed me to snap the carseat directly into the stroller, but also transitioned for me to use the stroller alone as my child grew. Back then, I turned to Graco to meet all of my carseat/stroller needs, at a budget I could afford, and it's a company I'd still choose again. Today I've got a closer look at one of their highest rated travel systems, the Graco Modes 3 Lite LX Click Connect Stroller Travel System! Now that we are a homeschooling family, I'm always searching for activities to make learning and discovery fun and captivating. I concentrate on finding supplemental materials that allow my kids to set down the books and use their hands for one-on-one interaction with Science and Technology. Whenever I'm stumped on where to discover new material, I always turn to Discover With Dr. Cool, who provided me the products pictured above at no cost to facilitate this review! This educational company supplies an endless amount of options in STEM activities that will make any kid fall in love with Science! 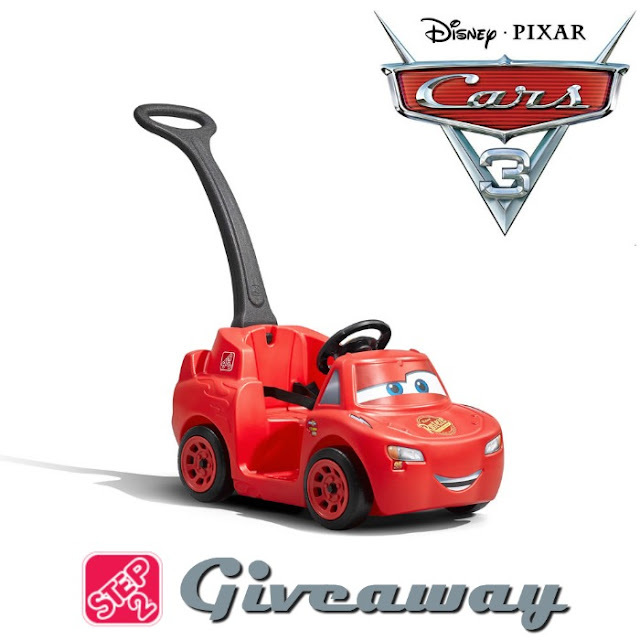 Step2 recently released NEW Disney Pixar© Cars 3™ toys and they are AWESOME! Miranda from Thrifty Nifty Mommy just had the chance to check out the Disney Pixar© Cars 3™ Ride Around Racer™ and she's got all the details on this new ride-on from Step2. Be sure to check out her full review to see Lightning McQueen in action! 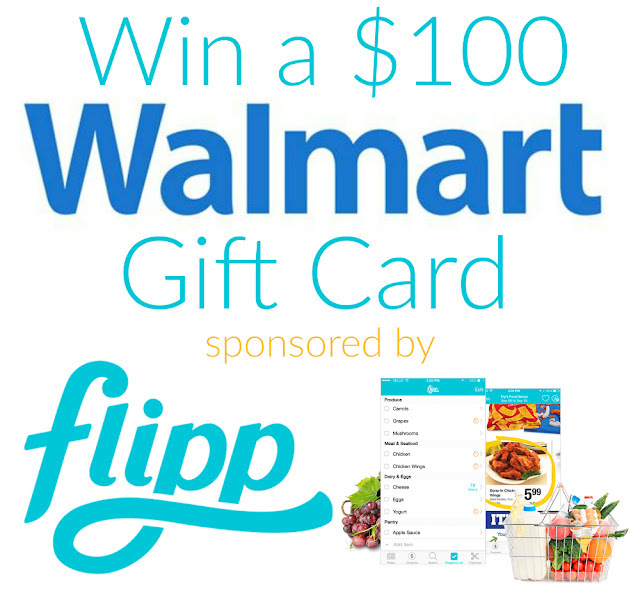 Win A $100 Walmart Gift Card Curtesy Of Flipp! Have you finished your back to school shopping yet? Today at Thrifty Nifty Mommy, Janessa is sharing how she used Flipp to purchase back to school supplies for her 4 children for under $100! Have you tried Flipp yet? Not only is it great for back to school shopping, it's perfect as a way to help you save money on all of your shopping trips (groceries, clothing, office supplies, sporting good and more). It also makes creating and maintaining a household shopping list SO much easier! Every now and then a product comes along that my family and I not only love, but a product that I thoroughly enjoy sharing with ya'll. OppoSuits provided me the suit, pictured above, at no cost to facilitate this review, and I have been blow away by this fun and memorable suit. From the stye, to the quality, to just how well this suit fits my son, there's nothing about this outfit that I haven't been wow'd by! If you love dressing your child in clothing that brings out their confidence, look no further than OppoSuits! This past Monday, the kids and I headed off to Orr's, one of our local farmer's markets, to pick up some fresh fruits and vegetables and of course we had to take the opportunity to pick some delicious, end-of-the-season blackberries! Disclosure: This post is sponsored by LunchSkins, HarperCollins Publishing, Warner Bros. Home Entertainment, & Berkshire Blanket. All opinions are my own. Our family has become seasoned road warriors over the past couple of years. My husband and I met and lived in Minneapolis, Minnesota for 8 years. With his family living in Michigan and mine in West Virginia, we often made the 17 hour total trip without stopping (except for of course to fill up and take quick potty breaks). Fast forward to the kids; there was a 3 1/2 year period where my husband had to travel back and forth from Michigan to West Virginia (sometimes with a kid or two in tow) twice a month. Aside from putting a lot of miles on our vehicles, we also learned that when traveling with kids, there are 4 Road Trip Necessities we never left home without! The kids and I just got back from a 4-day trip to Michigan and I'm excited to share the products we used to cover our road trip must-haves! For some parents, getting kids to participate in educational activities, much less enjoy them and want to participate, is no small task. In our home, Eva (age 9) is always ready to learn, but the other three can take some poking and prodding. Our family made the big leap into homeschooling this year (more about that in a post coming up later), and I wanted to find some educational games that I could incorporate into our weekly activities. I check out one of my favorite places for board games, Winning Moves Games, and found two in particular that I just had to have! (Games pictured above provided at no cost to facilitate this review) Our entire family is getting in on the board-game-learning; and having fun while we do it! 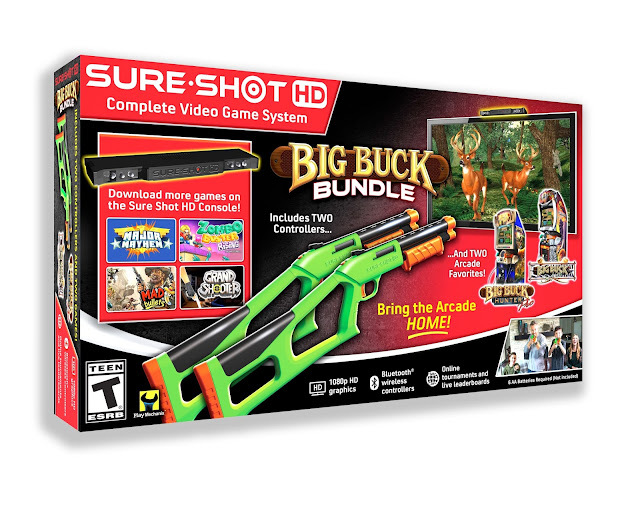 I know you're kids will love these games just as much as mine do! Fill Your Home Library With Dinosaur Books! Our Southern Style loves books! We also love learning and I have one particular kid, Eva, who loves all things Dinosaurs! I'm always looking for educational books to add to our home library and found fun and exciting books not only for my 9-year-old, but also for all my kids at Quarto Knows.They provided me the books pictured above (plus a few more that you'll find below), at no cost to facilitate this post, and I'm excited to share so many new dinosaur books coming soon to places wherever books are sold! Disclosure: This post is sponsored by Hot Ash Stoves, iZZi Foods, Thermacell, Goosefeet Gear, IceMule Coolers. All opinions are my own. Just a couple weeks ago, Ben and I celebrated our 11th wedding anniversary. For some of you that's baby years and for some it seems miles away. We've been through a lot in those 11 years but one thing is for sure; life has brought us closer together, shown us how fast the years go by, and that some days (unlike how Captain and Tennille would have us believe) it's taken more than love to keep us together (lots of our faith, family, and determination go a long way!). A couple weeks ago, my husband said the most romantic thing I've ever heard, "Babe, if you wanna go down the river...I guess I'll go down the river too". This is a pretty big step coming from a guy that grew up near Detroit. But he's grown to love everything the country life has to offer and this year we decided we'd truly get away. Get away from technology. Get away from the hustle and bustle of town and people. Get away from everyone and everything but each other. 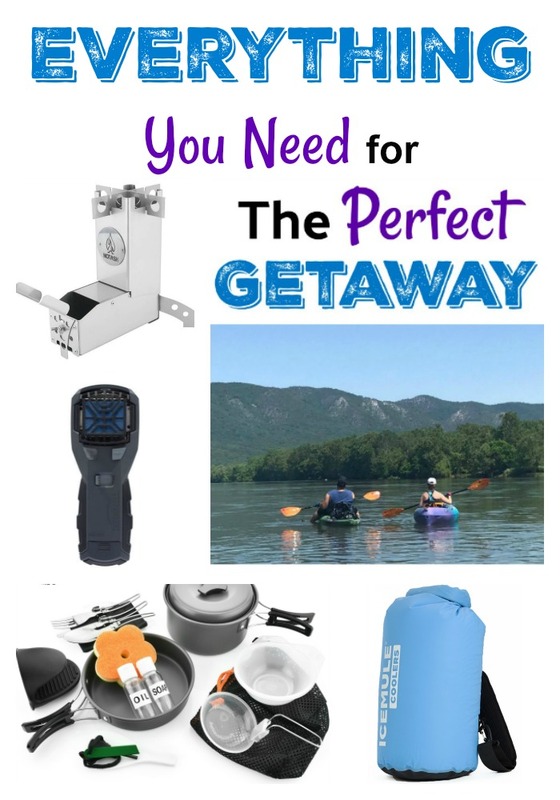 Our perfect getaway included an overnight kayaking trip down the Shenandoah River, and some great new outdoor gear that helped to make our adventure perfect! Disclosure: This trip was sponsored by VisitWV, Country Road Cabins, and Ace Adventure Resort. All opinions are my own. "Wild and Wonderful". "Almost Heaven". There's so many things that come to mind when I think of my home state, West Virginia. It's where I got my sense of adventure, my love of the mountains and the river, and my inspiration for all that southern cooking. Though the rest of the world runs at a break neck pace, time slows down in West Virginia. I"m a wife and a mom now, but I haven't lost my love for adventure and I give a lot of credit to growing up surrounded by it. There's so much beauty and fun to be found in West Virginia and because adventure is always better with friends, my husband and I grabbed one of our favorite couples (you might recognize Chris, my Gone Girls counterpart!) and headed to the southern part of the state for a mountain getaway filled with rock climbing, repelling, and ending with a climactic white water rafting trip down the Lower Gauley River! Looking for a memory-making trip this Summer? Grab some friends and find the adventure of a lifetime in West Virginia! My kids loved the first chapter in the story of MAX and when Warner Bros. Home Entertainment contacted me about sharing the second installment of this heroic tale, I knew it was something my family and yours would love! Not only do a I have a sneak peak into who MAX is saving next, but keep reading 'cause I've got your chance to win a copy of your own! Okay, I admit it, as much as I love being outdoors, I'm also a sucker for movies. I'm not sure if it comes from acting on stage in dramas and plays throughout my high school years, or due to the fact that growing up, movies were a special treat, but I'm pretty sure one of the main reasons I love a good flick is simply that I work hard. I work hard, my husband works hard, and our plate is often pretty full. My mind is usually thinking about, "Did I accomplish what I needed to today?" "What did I forget to do?" "What do I need to do tomorrow?" "Do the kids have any activities this weekend?" Everything from household chores, to the kids, to work, to my husbands small business runs through my brain on an almost continual basis but I have found two ways to tune it out. One is being outside, and the other is getting lost in a really good movie! If you computer screen could talk, you would hear my high pitch squeals of delight at the fact that the seasons have officially changed. Spring is finally here and Summer ahead of it! It's no secret to anyone who knows me that I love the outdoors and whether my family likes it or not, I'm always dragging them off to one adventure or another. The hubs needs a new pair of hiking boots (because I've got a couple hikes up my sleeve this year) and we found a pair of boots that, from the moment he sunk his feet in them, provided him equal levels of comfort and support. Add the fact that they make any amateur look like a professional and you have the perfect pair of men's hiking boots ready to hit all the trails this season! Forsake provided me the Hiker (pictured above), at no cost to facilitate this review, and I'm here to tell you that if you are looking for a men's hiking boot to make your next adventure perfect, you're gonna want to keep reading! As I have grown older there are a few things I have come to appreciate more and more; craftsmanship and keepsakes. As a child I remember watching my grandfather fell a tree, so that he could mill the wood, and then use it to craft every piece of furniture you could think of. Today, my house is filled with those tokens of his love and hard work, everything from rocking chairs to shelves, tables, even a lap and candlestick. It's not just the beauty and the quality that I appreciate, but it's the knowing that though there will come a day when he is no longer on the earth with me, I will always have reminders of times with him, memories sealed in the furniture that he made, that I will one day pass to my own kids. There are many things in our home that will come and go but I try to invest as much as I can in products that will not only last a lifetime but will carry significance long after I'm gone. My youngest son, Levi was very much in desperate need of a toy box and when I found the Wooden Toy Box I instantly fell in love with what I saw. Wooden Toy Box sent me the personalized toy box, pictured above, at no cost to facilitate this review. If you have a child that could use a toy box, a hope chest, or even a gorgeous box to keep their pillows and blankets in, the Wooden Toy Box is the perfect way to house your child's special belongings and give them a special keepsake to treasure for years to come. Eva is my reader. She is always looking for new and exciting books to read and is always excited when a package from Sky Pony Press shows up at our door. It either means books for her or books that she can read to her younger brothers, so either way, she wins. This time the packaged happened to be just for her with two brand new adventures, received from Sky Pony Press at no cost to facilitate this post, that are just as fun and colorful to read as their covers. If you are looking for new books for your older reader (ages 7 - 9) these are two great stores you'll want to check out! This past month my husband and I were excited that we were finally ready to move out of our townhouse and into a bigger home to accommodate our growing family. Our credit scores were up, the finances were in great shape, but what we didn't count on was the fact that running your own business can make buying a home much more difficult. When we got the "you'll have to wait one more year" news from our mortgage lender I pulled up my bootstraps and decided that if we were going to be townhouse living for another year, we were going to simplify and organize and make living here much more "breathable"! I've only just begun to organize and de-clutter our house, but all I can say is that I wish I had done this sooner! Here's 6 tips I learned along the way, for organizing a hall closet and keeping it that way! I always thought when I had a daughter I'd be up to my elbows in nail polish, sparkly hair bows and Barbies. I should have known the moment Eva came roaring into this world, loudly letting everyone know that she had arrived, that my girl wasn't going to be the typical princess. She lives to spend her days outside digging for treasure or dinosaur bones. When given the choice between joining dance or a sport, she chose Karate. She gets excited to learn new things and create new inventions of her own. She loves to let her imagination run wild whether she's drawing, painting, or reading a book. Unlike most kids, I never find her in front of the TV. Being her Mom has been one of the greatest adventures of my life! She is fiercely independent, never apologizes for being herself, and stands up for what she believes in. She is a different kind of princess altogether and I love her for it. Though she's easy to love, she's not so easy to shop for! If you have a Tomboy of your own you understand the struggle of gifts like I do. Whether it's birthdays or Christmas I'm always wracking my brain trying to come up with gift ideas for Eva. I've finally put together a list of 5 gifts I know your Tomboy will love - because mine loved every single one! If Macaroni & Cheese were a food group, my son Elijah would be more than content. I'm convinced he would eat it every day if he could. Baked Macaroni & Cheese will always be one of those classic comfort dishes and one that my family is always excited to devour. It makes for a great meatless meal or (if you are in the carnivorous group like my family) is the perfect side dish for burgers and dogs. We ate ours this week with slices of fried ham. This baked macaroni & cheese recipe gives you the creamy noodles and cheese and is topped with a buttery crust. Yum! I'm about to help myself to a bowl of leftovers! The first time I made Lasagna, it was right after I'd gotten married. My husband and I were having one of my old college friends over for dinner and she had said in passing that Lasagna was her favorite dish. She arrived "mid-sauce" and was quite perplexed. Apparently, she had never had Lasagna where the sauce was made from scratch (do people really just use spaghetti sauce?). I however didn't know any other way to make it. Over the years I've added and tweaked until I put together what I think is the Best Ever Lasagna! My husband definitely agrees - he was eating leftover for breakfast yesterday and the kids never pass it up! It's a full-flavored dish that's definitely a bit of a labor of love - but worth every minute! I don't know about you, but for our house, this has been the worst winter for sickness. It seems like every other week someone is coming down with something. This week was no different. Both Levi and Elijah were home sick with viruses. There might not be any magic medicine I can give them that will make it all go away, but I can make a pretty magical pot of Comforting Chicken Noodle Soup. Whether you're sick with a cold, or just in the mood for a bowl of down home deliciousness, this chicken noodle soup is where it's at! This one pot meal is enough to feed our family of six (plus have leftovers for lunch the next day)! When the Scooby gang visits a dude ranch, they discover that it and the nearby town have been haunted by a ghostly cowboy, Dapper Dan, who fires real fire from his fire irons. The mystery only deepens when it's discovered that the ghost is also the long lost relative of Shaggy Rogers! Over the years of reviews there are several products that I've continued to use on an almost daily basis. My Glasstic bottle happens to be one of those products; so when they contacted me about reviewing another Glasstic with their newest feature - personalization - I knew there was no way I could turn them down. Glasstic allowed me to choose any water bottle and customize it myself, at no charge to facilitate this review, and I'm here to tell you that not only do they still have the same incredible product, but personalizing it and making it my own was simple and fast! I was never a huge fan of fish growing up but one seafood dish I always loved was my Mom's salmon cakes. There's still something about frying them up in my own kitchen that takes me back to those days watching her cook. I created my own recipe for Salmon Cakes, which I've been making for years now for my own family. Even the kids eat these up! There's never leftovers when it's Salmon Cakes for dinner. This recipe includes a little kick with added jalapeno (don't worry - it's not too spicy - if my four-year-old can handle it, you'll be just fine)! If you live on the East Coast near DC, no doubt you remember the huge snowstorm we had last year. I know my back still remembers it at least. We got over 30 inches of snow and were doomed to never see the likes of fresh bread and milk again. You see, where I live in West Virginia, snow means the world stops turning. At the mere mention of snowflakes, shoppers rush to our local grocery stores to clear the shelves of every item known to man. Schools cancel, and we all hunker down for the end of the world to happen. We're also not well known for our ability to plow around these here parts and last year's storm in particular was no different. The snow plows couldn't handle our main roads, much less have the time to clear our back roads and side streets. After that particular storm, my family didn't make it out of our development for three days. I remember I was giving my arms and back a break from hours of trying to shovel out our vehicles (as if there was even anywhere we could go) when I looked up and saw the National Guard coming down the road to our aid. I didn't know when we'd get another storm like that one, I just knew the next time I wanted to be prepared. DMOS must have heard my cries because they answered my snow shovel prayers and sent me the Stealth Shovel, at no cost to facilitate this review. If you need to invest in a good shovel - this will be the last one you ever need! At the end of 2016 one thing was clear; there were certain habits I wanted to change and specific ways of living that I wanted to accomplish. I knew that if I wanted to come out of 2017 a winner, I needed to reorganize my life a little. I've never really not been unhealthy and I readily admit I've been blessed with good metabolism but after years of working full-time and raising four kids, somehow "me" time and exercise got put way back on the back burner. I wanted to do something for myself, and get back in shape, and for me, there's only one way for that to happen - put myself on an early morning running schedule. Probably the only thing I hate more than waking up in the morning is being cold so I knew right away, I was going to need something to motivate me not only to get out of bed in the morning, but to keep me warm on my new adventure to a better me. When I came across Vander Jackets, I knew I had to check them out and could barely contain my excitement when my own Vander Jacket, pictured above and provided at no cost in exchange for this review, arrived in the mail. If you're a runner, or if you're hoping to keep up your 2017 New Years resolution you won't want to miss checking out all this jacket has to offer!